Over The Rhine have produced three albums mindful that, for some, Christmas is not the happiest time of the year. Earlier releases were Snow Angel and The Loneliest Night Of The Year. Here’s a track from last year’s release Blood Oranges In The Snow. Categories: Christmas, Christmas Songs, Church Year, Music, Songs | Tags: Christmas Songs, Let It Fall, Over The Rhine | Permalink. There are some of you enduring the Christmas blues. Here’s one for you, from Over The Rhine. Categories: Christmas | Tags: All I Get For Christmas Is Blue, Christmas, Music, Over The Rhine | Permalink. 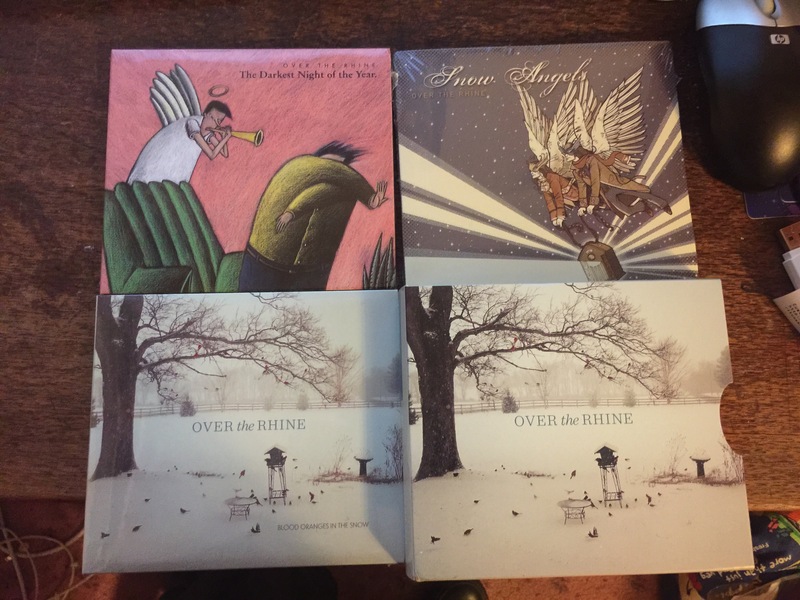 My box set of three albums by Over The Rhine arrived. The Darkest Night Of The Year; Snow Angels; and a second copy of Blood Oranges In The Snow. Categories: Christmas Songs, Music | Tags: Christmas Music, Over The Rhine | Permalink. There’s been a number of tragic events in Australia over the last few weeks, a couple local to our own region. Here’s a song from Over The Rhine‘s Blood Oranges In The Snow, their newly released Christmas themed album. Anyway, the song is called Another Christmas. Lyrically and musically it seems to hit the spot for how a lot of people are feeling right now. Categories: Christmas Songs, Music, Songs | Tags: Another Christmas, Christmas Songs, Over The Rhine | Permalink.